Da Capo Press, 9780306903311, 288pp. Ken "K.K." 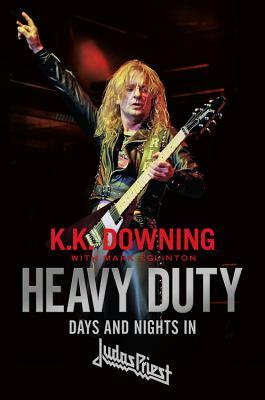 Downing is a guitarist and founding member of heavy metal band Judas Priest. He formed the band at the age of sixteen after getting kicked out of his home by his abusive father and the band eventually found success during the New Wave of British heavy metal in the late 1970s and into the 1980s. K.K. retired from the band in 2011 and lives in Shropshire, England. Mark Eglinton is a frequent cowriter whose previous collaborations include Official Truth, 101 Proof with Rex Brown of Pantera and Confessions of a Heretic with Behemoth's Adam "Nergal" Darski, along with the solo project So Let It Be Written: The Biography of Metallica's James Hetfield. Eglinton divides his time between Scotland and the Pacific Northwest.